The display was complemented with the 532 specimens of ornamental poultry and 147 rabbits. 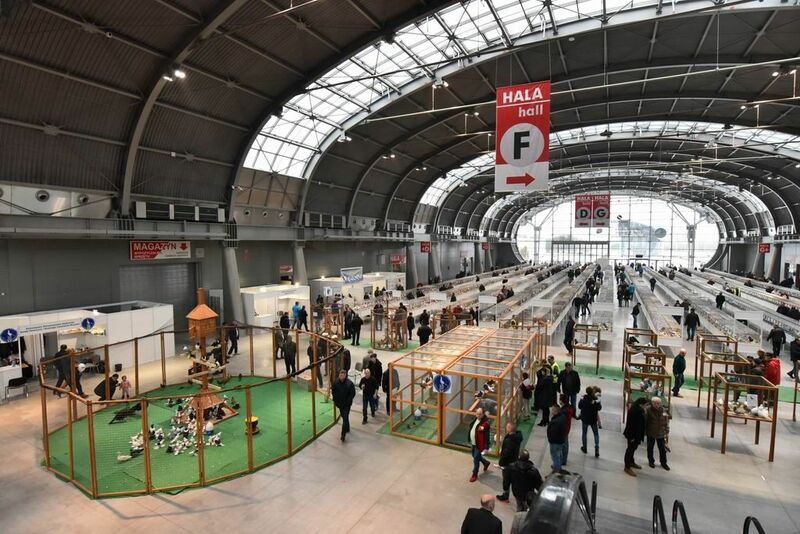 The Targi Kielce expo halls were the showcase for many great pigeons as well as interesting breeds as Polish “maściuch” and Old Dutch Capuchine, Oriental Frill, Polish Tiplers, all variations of Croppers, Polish type of Columbia Licia to mention just a few. Those visiting the Kielce exhibition centre had the chance to find out most interesting facts about birds breeds. Most of the birds amazed the audience with their appearance - "curly" feathers and glands in the beaks or eyes area were much to the spectators’ delight. The peacock was the one to stand out of the crowd - the beautifully exposed aviary in E expo hall housed a peacock named Kuba; Kuba reigned supreme for a reason - it is a truly royal peacock. Kuba was brought to Targi Kielce by Mr. Sebastian Król, the ornamental birds breeder from Bilcza near Kielce. About 5,500 visitors visited the January exhibition. The second day of the exhibition culminated in cups and distinctions awarding ceremony presented to the best breeders.